ABS-CBN, the country’s leading media and entertainment company, won a prestigious Gold Quill award of excellence at the International Association of Business Communicators (IABC) Gold Quill Awards in Montreal, Canada for its "Wow at Saya" audience experience program. “As we are thankful for the award, ABS-CBN also considers this recognition as a reminder to constantly enhance the experience of our Kapamilyas that echoes our mission to be in the service of the Filipino,” Kane Errol Choa, head of ABS-CBN Integrated Corporate Communication said. Launched in 2016, “Wow at Saya” aims to provide TV studio audience members of the network’s live shows like "It's Showtime" and "ASAP" a cheerful and unforgettable experience throughout the duration of their visit in ABS-CBN. With this goal, ABS-CBN formed a team dedicated to ensure quality TV studio audience experience. The network also renovated its audience holding area called the Kapamilya Audience Lounge (KAL) to equip it with amenities like LED TVs, photo walls, food stalls, and more for an entertaining and comfortable stay prior to the show. Aside from the physical transformation, workshops were conducted for ABS-CBN customer-facing teams such as tour guides and marshals to give guests excellent and genuine service. Since its inception, the network's "Wow at Saya" campaign has continuously delivered on its promise, earning consistent positive feedback from ABS-CBN visitors. 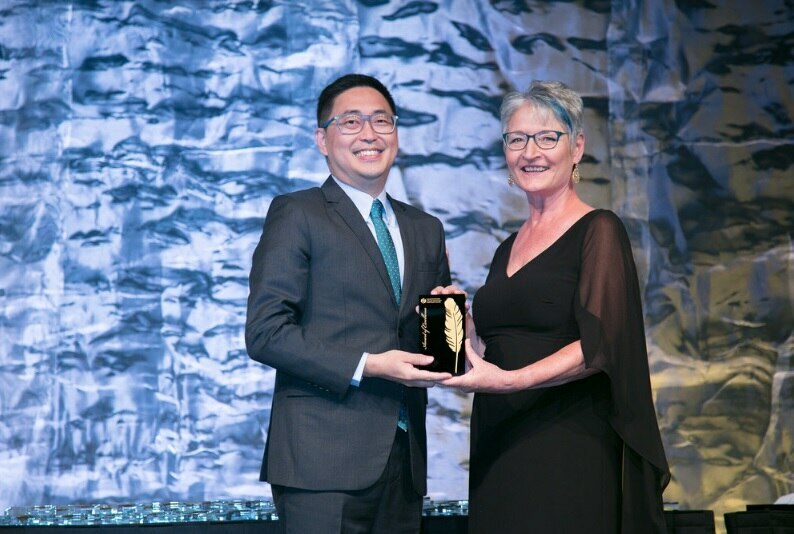 The Gold Quill Awards gives global recognition to excellent business communication programs and it is one of the most prestigious awards programs in the industry as entries are assessed against IABC’s standard of excellence.